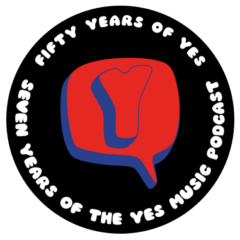 The thirty-sixth episode of the Yes Music Podcast featuring the bonus content in the Limited Edition of ‘Magnification’. Can a whole orchestra replicate the role of a Yes keyboardist live? What about Tom Brislin – what does he add? What does the ‘enhanced content’ contain and how does it work ten years later? Hi Kevin – I never got to see Yes tour with the orchestra but I have to say that the Symphonic Live DVD (and CD) is probably my favourite of all the Yes DVD’s. As you said, it’s such a joy to see the young orchestra rocking out to Yes music. Thanks, Ken. It’s a really enjoyable period in Yes history for me and shows how the music can live in different forms – a test of a great artistic endeavour. Great show Kevin as always! I would have to agree with you about Tom Brislin he was very good kinda of reminds me of my oldest boy who grew up listing to Rick Wakeman when he was 15 years old he pieced together his own version of the Wurm with his Kurzwell keyboard and Martin acoustic and just using the cheap mic that I had on the old Dell computer I was impressed If I find that track I will send it t you anyway drifting away (sorry) I have never seen the bonus Magnification here in Michigan since they pretty much took all the good old music stores away and replaced them wit Best Buy and who ever buys for them really does not know all that much about prog rock. I’m going to have to go on E-bay and see if I can’t get me a copy of that.But yes the show was Fantastic only behind the Gates Tour.Well I look forward to hear these questions I’m not much on question but its Yes question so I look forward to learning more about my favorite band and the greatest Prog Rock band ever! Great set list! I had forgotten about the numbers done without orchestra – I need to get my DVD out and take a listen. Tom Brislin is doing some very different musical things now, it seems. A real talent. I’d love to hear that recording is you can find it! I love this album as well as the companion Symphonic Live DVD. I recently purchased the 180g double-LP (2013 Eagle Records/Sireena Records) as a gift for my son & was surprised that the fourth side (reverse of second LP) is intentionally left blank. I have never encountered this, previously. By the way, regarding the Symphonic Live DVD. I remember putting it on when it first arrived (way back when) and was delighted that my then-young sons, siblings and parents all watched it throughout its entirety- something which delighted me as it was entirely unexpected on my part. Of course, my sons have grown up to become prog rock fans in their own rights, introducing me to a new generation of prog artists. Of course they know my greatest allegiance has always been and will continue to be with Yes. Thanks again for continuing to provide my favorite podcast! Thanks so much Scott! Great story and I’m glad you like this era as much as me!